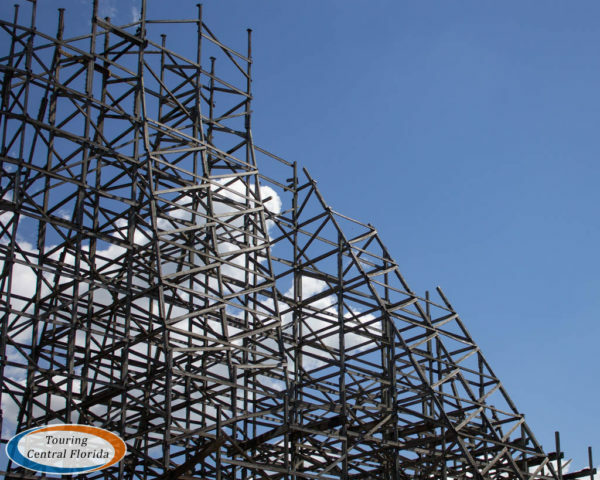 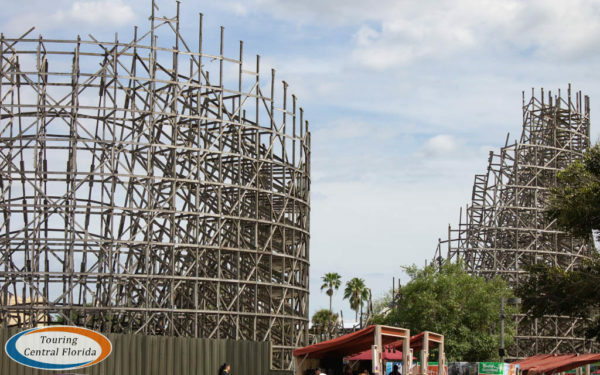 Crews at Busch Gardens Tampa Bay are busy with two different roller coaster projects as work wraps up on one and reaches a turning point on the other. 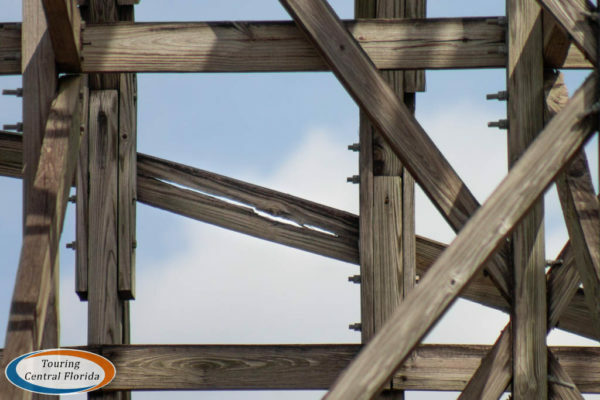 Tigris, a Premier Rides Sky Rocket II model steel launch coaster is very close to opening, and Rocky Mountain Construction (RMC) appears close to the end of the major demolition work on Gwazi as it is converted to a hybrid roller coaster. 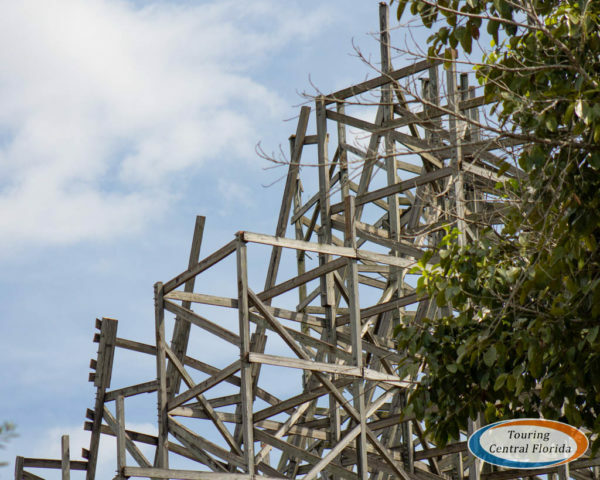 Since our last update, the former lion side lift hill on Gwazi has been almost entirely removed. 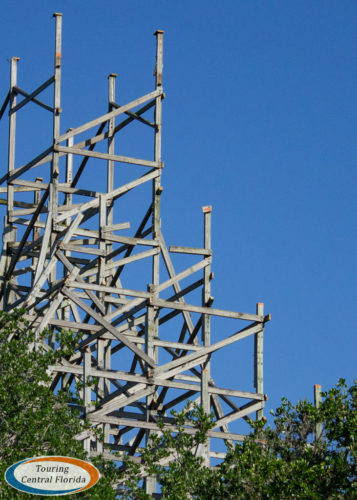 Only a section near the top of the hill remains as of this past weekend. 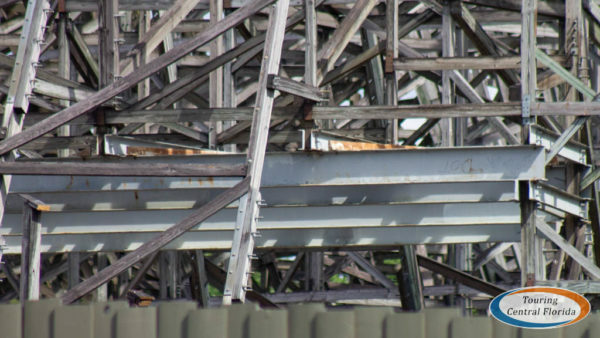 Back at the base of the former lift hill, one of the few remaining sections of original track is still in place. 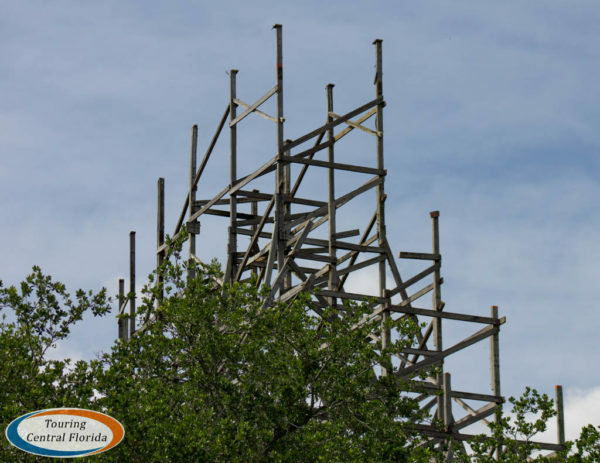 Around the lift hill and elsewhere on site, you can see the progress made. 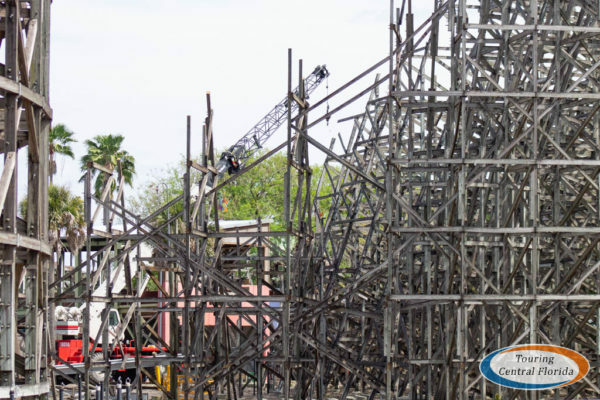 Most of what’s left of the structure appears to be remaining, ready for the rebuilding process to begin. 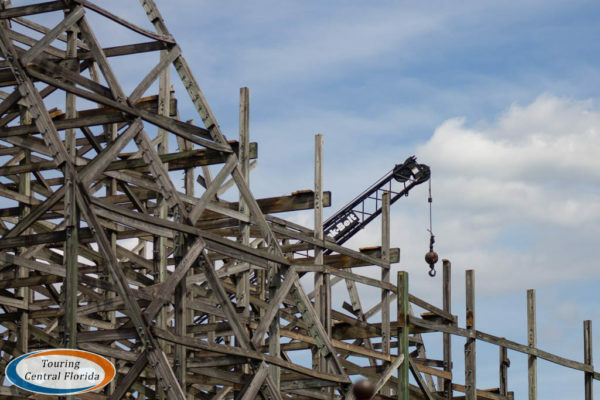 Certainly some individual boards and small sections will still have to be replaced, but as of this past weekend it looks like most of the major demolition work around the site is close to being complete. 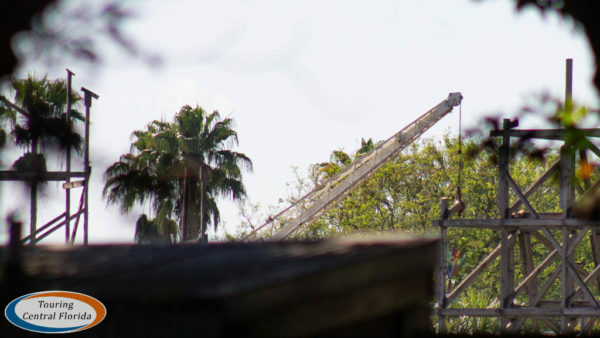 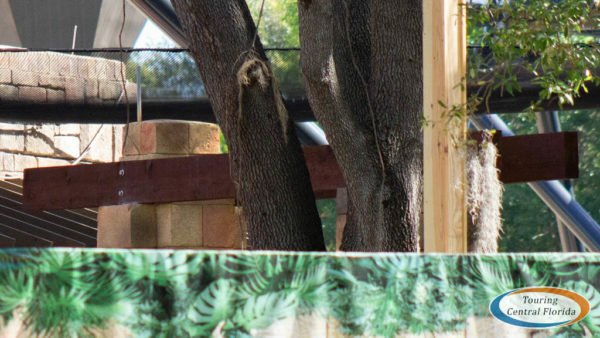 We were able to get a glimpse of one of the cranes sitting near the station in the center of Gwazi’s footprint. 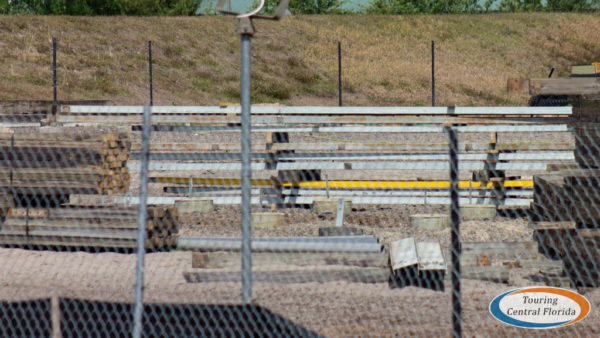 Several containers and other equipment can be seen in the area. 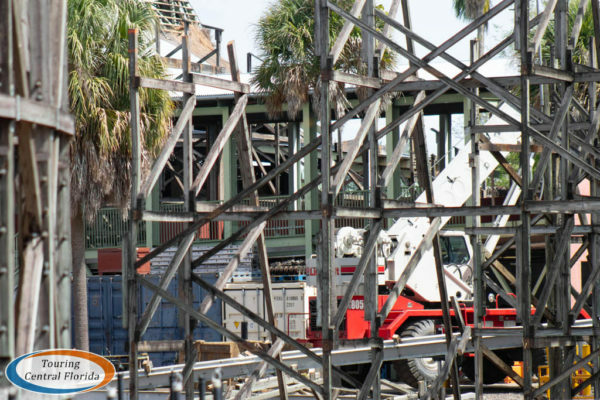 Also on the construction site are stacks of wood and steel beams from Gwazi. 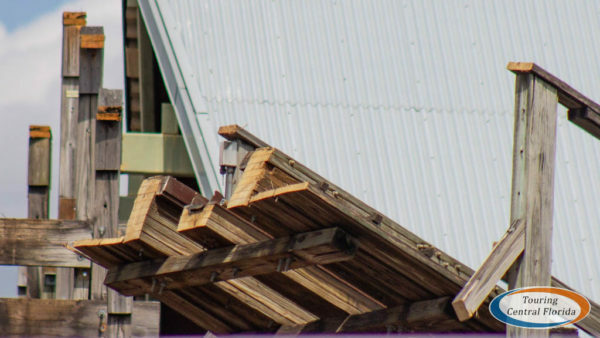 Similar beams are still in place in the remaining structure. 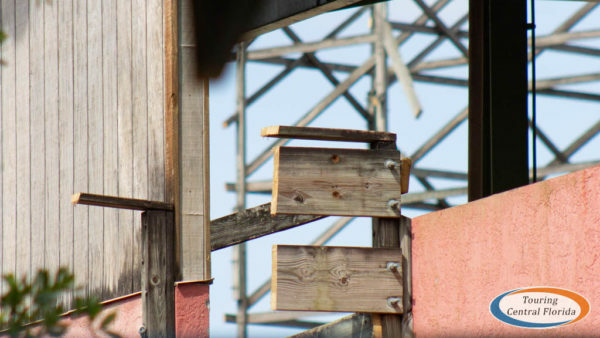 The neat placement leads us to believe at least some of these pieces will be reused, whether in the new roller coaster or for other projects. 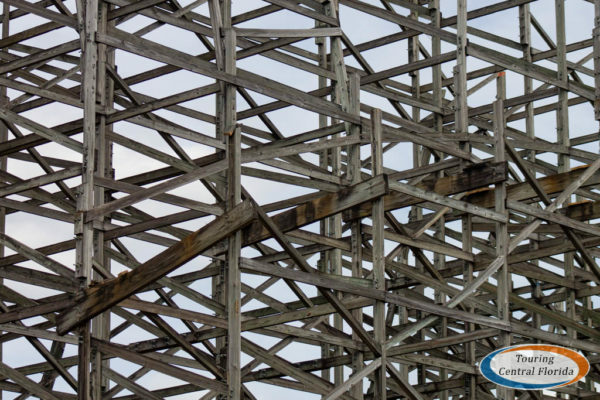 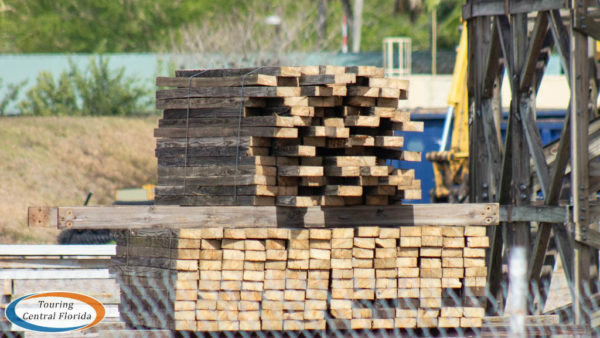 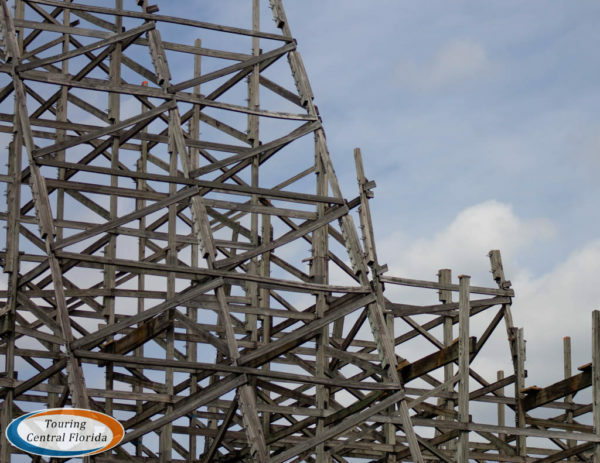 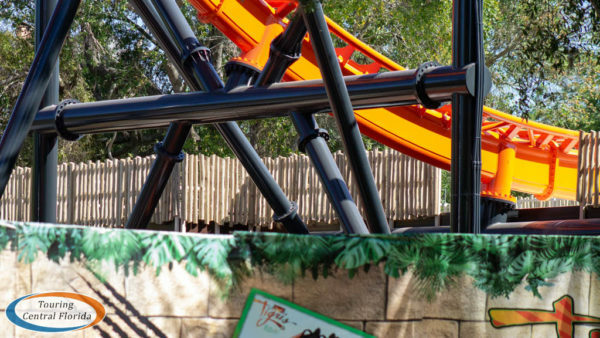 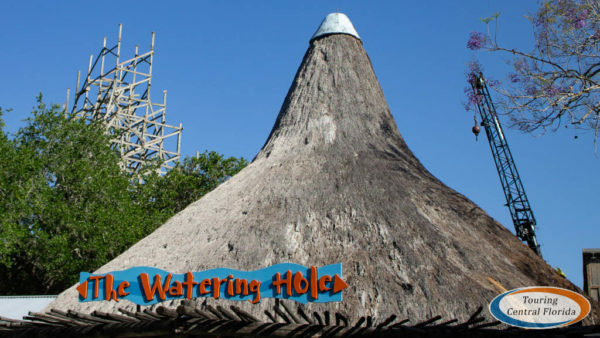 The company regularly finds way to recycle things with their parks, with portions of Gwazi’s wood already used in projects at SeaWorld Orlando, and its trains now in use on Invadr at Busch Gardens Williamsburg. 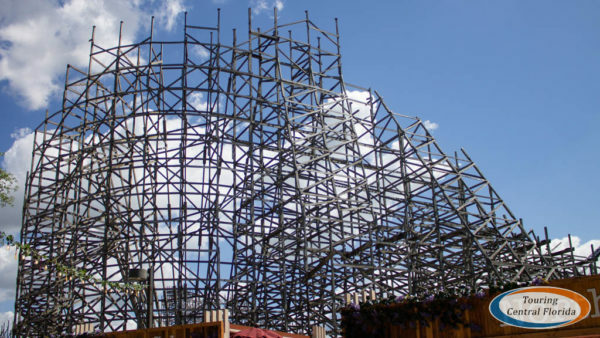 A panoramic view from Gwazi Field of the current state of the coaster. 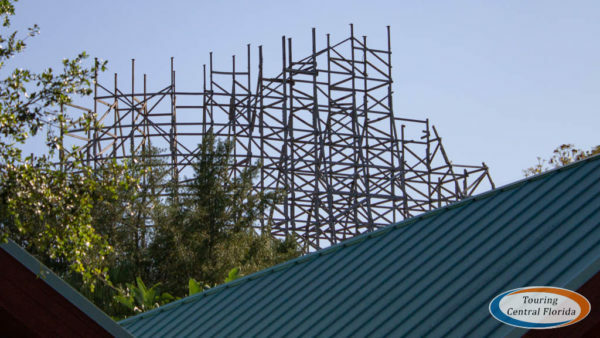 Compare it to the panorama in our last update that was taken two weeks prior. 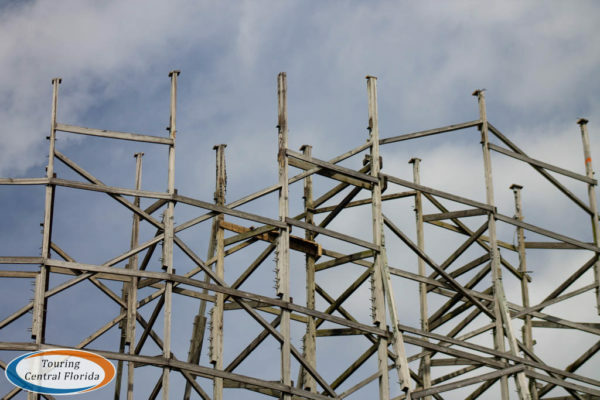 Click the image to view in greater details. 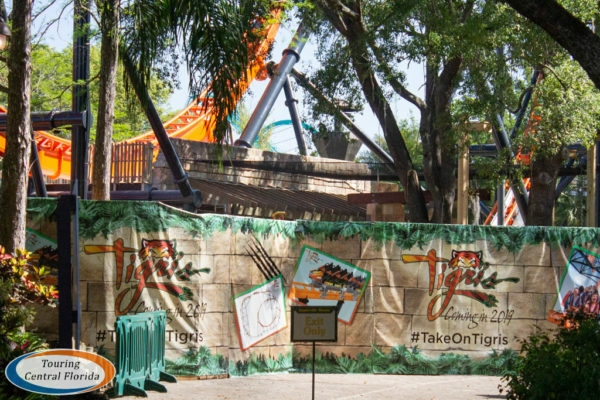 Back in the Stanleyville section of the park, Tigris is nearly complete. 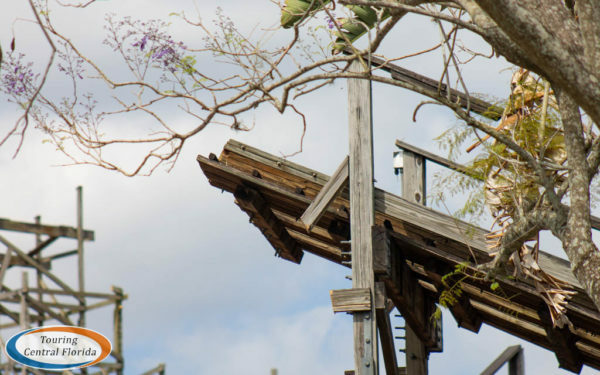 Finishing work since our last update includes enhancements around the station roof, a safety net above the exit area to catch any loose falling objects, pathway lighting, and the pillars that will hold the entrance sign for the new coaster. 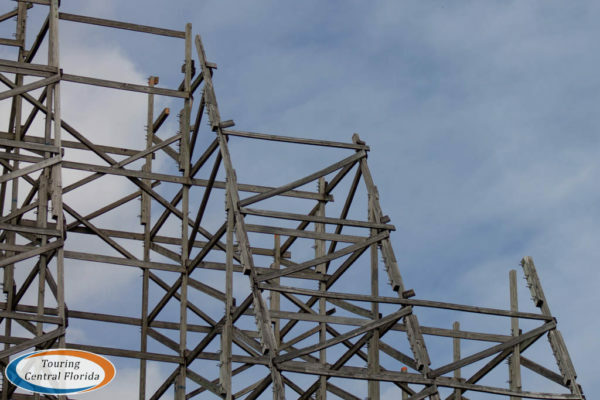 Walls remained up around the site this past weekend, but we’ve received reports that Premier has turned the roller coaster over to the park, meaning park operations has begun its training. 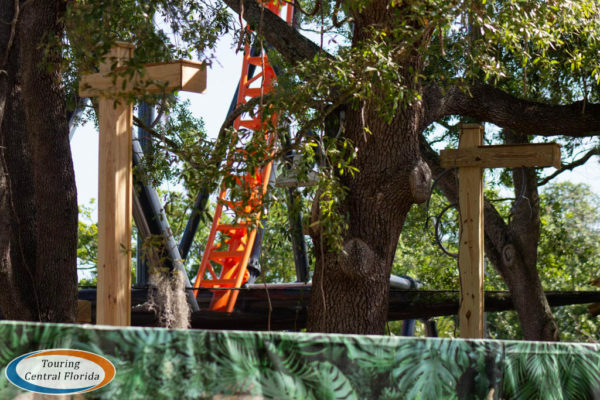 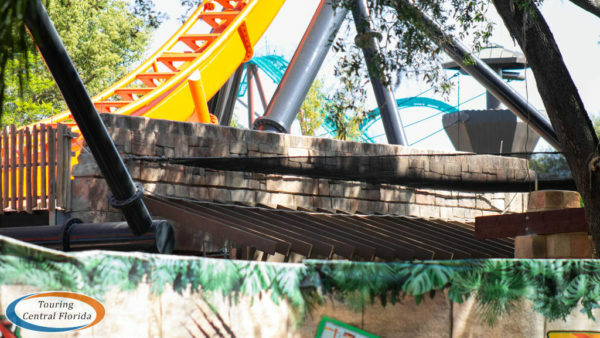 This past weekend, several Busch Gardens ambassadors and Premier representatives were spotted riding, and we also heard the new Tigris ops team took some test rides as well. 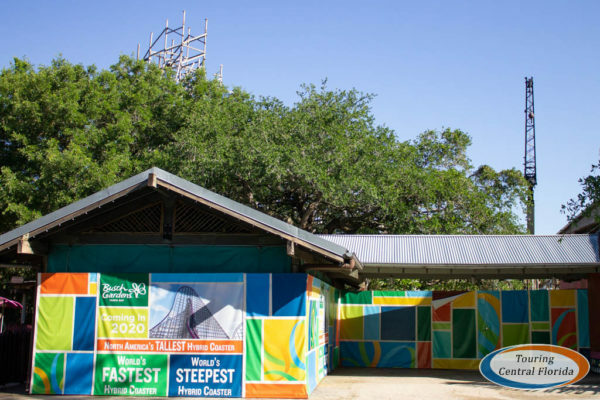 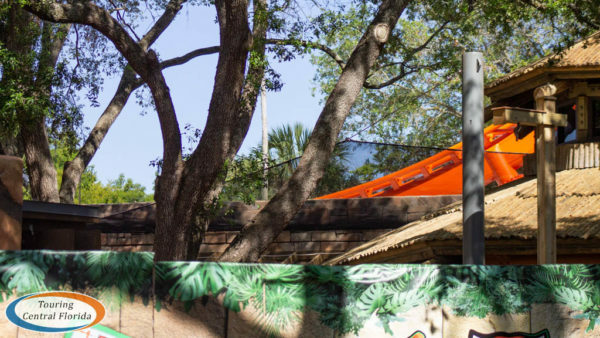 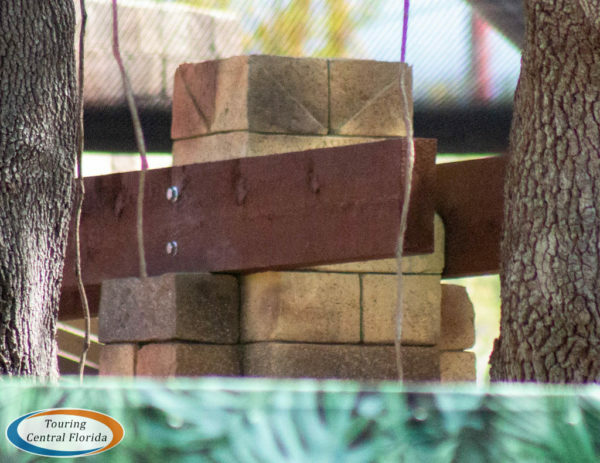 As work continues on both projects at Busch Gardens Tampa Bay, be sure to check back on our site and follow along on our social media feeds (linked below) for the latest news. 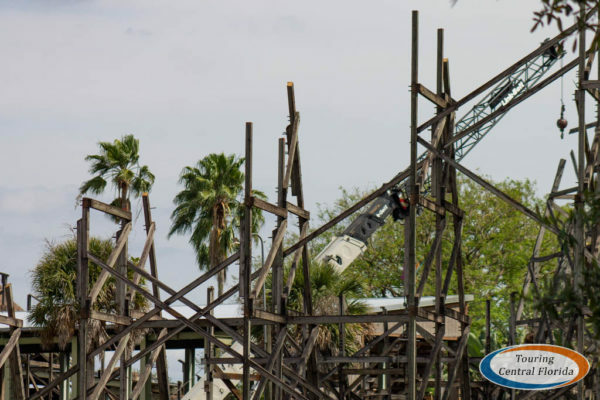 As always, all images for this update were taken from guest areas. 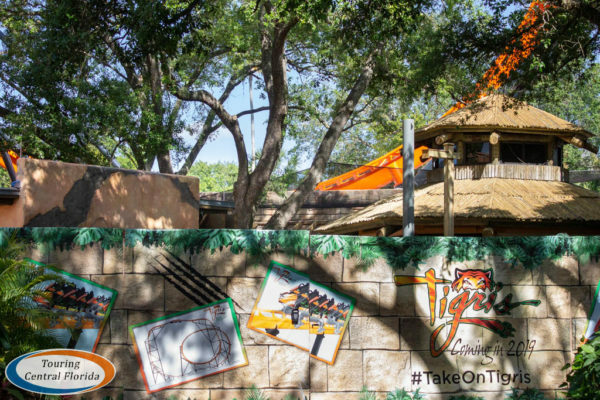 Join in the conversation on social media using #TakeOnTigris and #BGTProject2019 for Tigris and #2020Rising, #RMCGwazi and #BGTProject2020 for Gwazi. 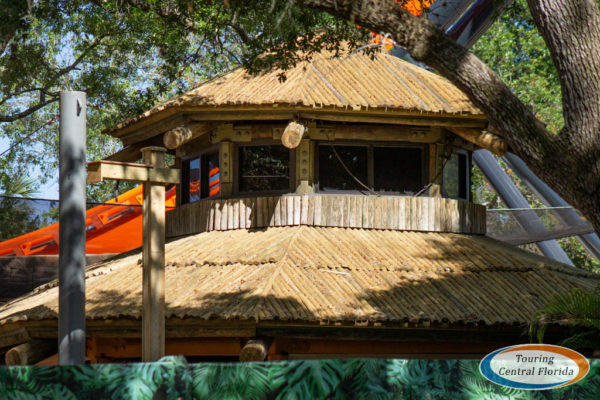 For the latest on Busch Gardens Tampa and other theme parks, attractions and more across the region, be sure to follow Touring Central Florida on twitter @TourCentralFL, @androckb, @Emmet_TCF, @JacobTouringCe1, and give our facebook page a like.